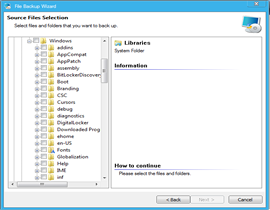 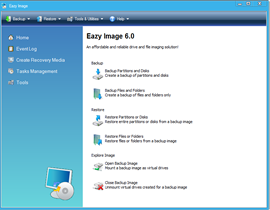 Creating backup images of your Windows computer in a user-friendly interface with just a few clicks and without interrupting your work in progress, Eazy Image protects your valuable data and system from disasters in the most simple and effective way! 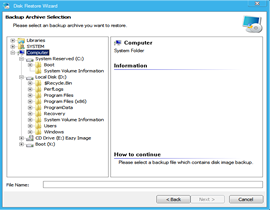 Real-time Hard Disk Imaging Backup – All your applications remain online during the hard drive backup. 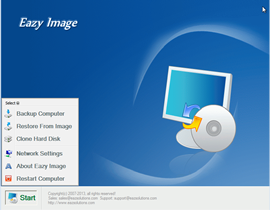 Eazy Image performs hot backup and protects your system without interrupting your working process. 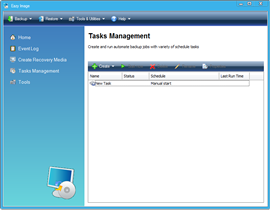 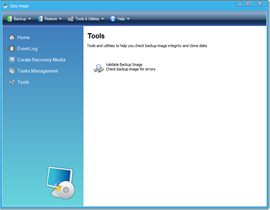 Fast and Reliable System Restore – Eazy Image delivers fast workstations restore even from bare-metal state. 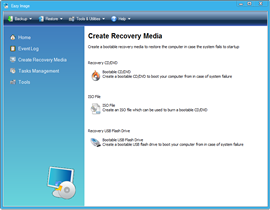 You can browse backup images and restore separate files and folders or entire hard disk partitions and hard disks. 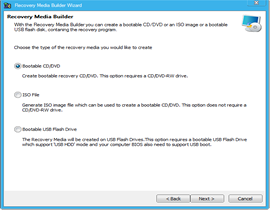 User-Friendly Recovery Media Builder – Eazy Image includes a user-friendly recovery media builder that allows you to create and burn bootable recovery CD/DVDs or USB drives containing backup images. 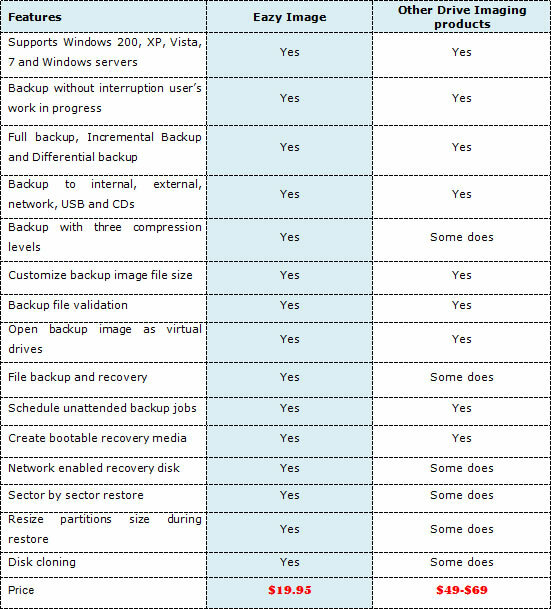 Hardware and Software Flexibility – Wide range of software and hardware support, local or network backup media support as well as built-in CD/DVD Burner to place HDD backup images on CD/DVD delivers great flexibility to IT professionals and system administrators. 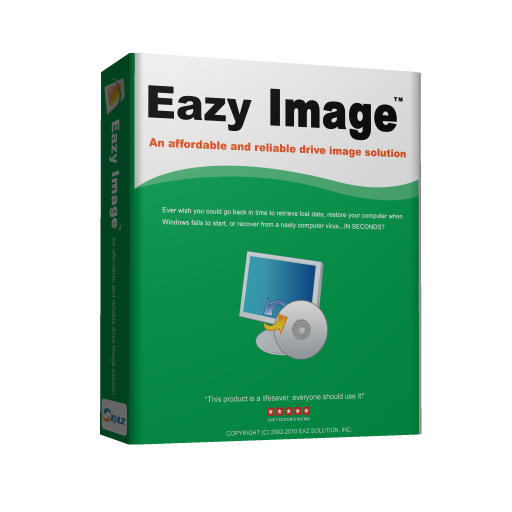 How does Eazy Image compare to other drive imaging products?